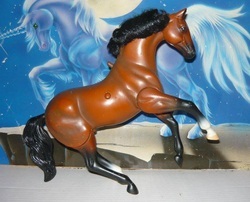 Perfect Match-1992 gray (black base) Trakehner. Sired by Schoenfeld-r, out of Palma-r.
OF Grand Champion, Perfect Match. Obi-wan Kenobi-1992 gold champagne. Sired by Wanroij (r), out of Pegasus' Moon. Is hiding a Silver gene. 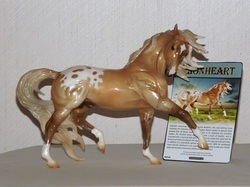 OF Breyer 2017 Holiday Horse. 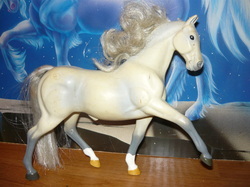 Hel Fury-1993 gray (bay base) Trakehner. Sired by Herzzauber (r), out of Hoffnung IV (r). Rurik-1993 bay Budenny. Sired by Rang (r), out of Ekstsentrichnaja (r). Bred by Shadow Wolf Stables. Tromadosetee-1995 Bay Trakehner. Sired by Buetow-r, out of Taperkeit-r.
Approved for American Warmblood breeding. Smoke N Salute-1998 black splash. Sired by Sture, out of Smoke N Hot. Bred by Shadow Wolf Stables. 2003-Smoke N Signal, black splash (x Mia, Swedish WB) o/b Shadow Wolf Stables. 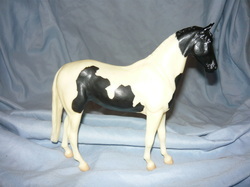 Nebulas-1999 black tobiano. Sired by Link, out of Warkhant. 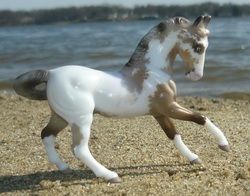 OF Breyer, Big Ben, Stormchaser. Talisman-1999 gray (bay base) Oldenburg. Sired by Herzzauber (r), out of Tessa (r). 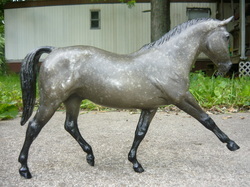 The Darkling-2006 dapple steel gray (black base) Oldenburg. Sired by Tapit-r, out of Junk Food. Bred by Pied Piper Ranch. Hour Of Twilight-2006 gray (bay base) tovero (tobi+sabi). Sired by Link, out of Sizzlin Wave. The Golden Lion-2007 dunalino spotted blanket. Sired by Conetti Lynghoj (r) (knab), out of Spanish Influence (Morgan/PRE). Approved for Stonewall Sporthorse breeding. 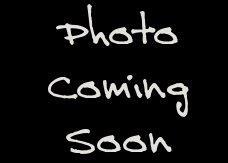 Lego Brick-2013 black Dutch Warmblood. Sired by Ruben, out of Aleid. Bred by Oal Tree Equestian and imported.